Practice areas: consulting on public policy, finance, insurance, risk assessment and management. Provides consultation in public-private sector strategies. Even before studying how to invest, a basic “big picture” orientation to the topic area is needed. Presented are 3 simple things to know before putting money into financial assets. Sets forth the basic questions that should be considered before accepting an argument based on a claim of science. Critical thinking training. Lloyd Lim is the Former Manager at Hawaii Dept. of Insurance. He joins Reg Baker on Business in Hawaii to discuss what insurance is, why does it cost so much, what is the President proposing and how to control the cost. Lays out seven key issues that are central to thinking about the government we have, the government we wish we had, and the government we want to avoid. Three examples of classical music suggested listening that can lead a newbie into the nuances of different interpretations and the different sides of a composer. Covers empiricism vs. science, true-false vs. right-wrong, fact vs. opinion, fact vs. truth. Discusses language as thought and nonverbal experience. Basic critical thinking in a nutshell. Overview of the political and social aspects of words and their meanings or definitions. So you want to play music? Overview of the essential practical issues in music that will assist in the selection of an instrument and learning how to play it. Key issues when designing rules. Useful as a classroom project or as a primer for engagement in public policy debates. Covers several ideas floating around the education system that are self-defeating. The basics of financial statements with an emphasis on the reasons and concepts behind them. Rule of Law - why do we care? Discusses the rule of law and why it matters, but also how it can be distinguished from concepts like justice and morality. Law School for Everyone - New from The Great Courses and coming soon to The Great Courses Plus! Identifies 2 books with sections that provide a high level, big picture overview of history. Lighting history, if you will, so folks don’t miss the forest for the trees. Offers several performances on CD that showcase top notch conducting. Discusses 9 basic elements or issues relevant to any decision. Discusses the centrality of the “common good” to government, but explores how government misuse can work against the common good. Discusses what government and law are best used for. Warns of the danger that complex regulation can put small business at a disadvantage. Tips for avoiding disputes or resolving them if they arise. Also touches on the frame of reference, psychological and epistemological aspects of disputes. Uses some quotes from movies to illustrate. Discusses the reasons for the partisan divide, looks back at freedom lovers like Adam Smith, Thomas Jefferson and Louis Brandeis, and argues that we must support small business to have a future. Argues for the importance of motor skills and practical training in education. Discusses how some new technology has created new externalities that need regulation. Discusses market incentive breakdown as a justification of regulation. Excerpts on the piano from the old Broadway. Pieces that shouldn’t be forgotten. Politicians and pundits too often exaggerate the importance of any given news story. If pigs had wings, then they would fly. Which is an old saying designed to make fun of the counterfactual, the hypothetical. But there is a role for considering how we would view a particular situation if the facts were slightly different. Doing so can illuminate the key question of whether we are operating on the basis of ideology or on pragmatic fact. Why is that relevant today? Because politicians and pundits love to exaggerate the importance of any given news story; they love to take a specific case and turn it into a sign that the Earth is about to rip itself into pieces or that the sky is about fall on top of our heads. Considering whether pigs have wings or don’t can help. Many pundits have observed that the Republican and Democrat parties of today are quite different ideologically from those of days past. In the time of Jimmy Carter and Ronald Reagan, there was a substantial political middle in both parties, beyond the usual independents. And politicians (like the rest of us) have a mixture of views, depending on the issue at hand. So how is a person to sort things out? John Maynard Keynes had a famous quote to the effect that politicians often had no clue that the ideas in their heads came from some long dead economist. Well, frankly a lot of us are like that, although it is not just long dead economists, but political philosophers and theologians. In Hawaii, some special purpose entities have gotten out of control in terms of spending. There have been a few examples of special purpose entities affiliated with government here in Hawaii that have gotten out of control in terms of spending and which seem to have suffered from various problems in execution. Not to pick on Hawaii, of course, because these problems are present all over the country at various levels of government. But Hawaii is as good an example as any and can help us develop what I might call “if-then” governing principles. Einstein said that a solution should be as simple as possible, but no simpler. Hawaii should stay within the American tradition by remembering the fundamentals of public policy. 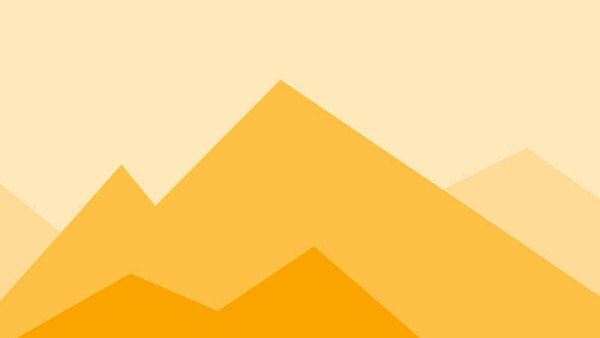 Our politics are divisive, but the underlying debate about the role of government in the market is as old as the hills. Although most can agree that at some point the government becomes too big (North Korea) and that at another point the government becomes too small (Afghanistan, Lagos), the exact dividing line isn’t clear. This is the nineteenth essay in a series on the website of the Grassroot Institute of Hawaii about the government and the marketplace that I began in late 2013. Although there are many fine textbooks about government, such as the McGraw-Hill/Glencoe offering “United States Government: Democracy in Action” written by Professor Richard C. Remy, I wanted to show the nitty-gritty of how an actual government operative like myself thinks through public policy. Hopefully this provided a peek behind the curtain that people will find helpful. We have had a rather expensive seven year conversation about healthcare and its financing. From the get-go, it was clear that many people had misconceptions about this topic. Unfortunately, most of these misconceptions are still with us. This might make for an excellent partisan fight, but it is destructive of our attempts to find solutions. So let me debunk a few healthcare myths on topics where I believe the factual case is close to indisputable. In no particular order. 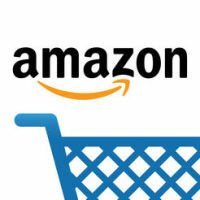 - develop a strategic plan to help you succeed. 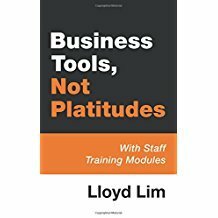 Lim also touches on key concepts such as cultivating relationships, slashing costs prudently, and developing the right mindset. The appendix contains a series of staff training modules that any organization can adapt for its own use. Academics talk about asymmetric information in the economy and silos that impede the sharing of knowledge. In a service economy full of knowledge workers, information is what we trade in to make money and build alliances. Those with knowledge have an advantage. While we have access to the Internet and other media, being bombarded with an avalanche of information doesn't mean that we have the mental filters needed to make sense out of it. In No More Stupidtry: Insights for the Modern World, Lloyd Lim offers numerous essays containing big picture insights that can help leaders and managers of organizations of any size in both the private and public sectors to do their jobs better. Teachers, coaches, and parents can also benefit from these ideas as they help to raise children. The author's premise is that if actions follow ideas, then reading this book could be a game changer. A screenwriting tool that focuses on the elements of stories that worked well in Hollywood film history. At the same time, a nostalgia tour and cultural analysis of an important part of Americana. A primer for developing new content. It is a grade school commonplace that there is a pendulum swing back and forth between the political Right and Left. Personally, I think a little back-and-forth is both good and inevitable, but it would be better if the swings were less violent. What can provoke over-reaction is government over-reach to one side or the other–often due to someone having a tin ear. We know that light is both a particle and a wave, but what I have observed in our modern politics is that this kind of “dualism” is everywhere and not in a good way. The need to have one’s cake and eat it too has meant that one side of the brain doesn’t appear to want to talk to the other side of the brain. A few examples will tell the tale. We don't have to accept the world as it is, but we must take it as we find it. You can't get to utopia by living in a dream world. Some have argued that health insurance is “not insurance.” That overstates the case, but it is not completely wide of the mark. Because finding out why should be illuminating to anyone puzzling over the issues in healthcare finance, the biggest of which is rising costs, I want to take some time to explain this little corner of the world that I have spent the past dozen years in. It’s Fun to Argue, But Gee Whiz! One of the great things about being a citizen of the United States is freedom of speech, which partly means the freedom to argue about government policy. Many of us have to one extent or another become like lawyers, arguing one side of the case or the other, heedless of the “stretchiness” of our arguments. But as Aristotle and Buddha would advise, everything should be taken in moderation. Politicians often use the divide and conquer method to gain and hold power and one consequence is that our differences seem very extreme. We seem completely polarized; we seem to be a divided America. If that gets in the way of us solving our problems, then it hurts us. 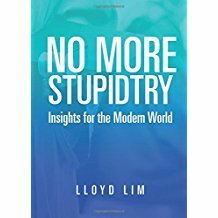 This book offers an economics based theory for reinventing government that, if used, could lead to a leaner, more efficient government. 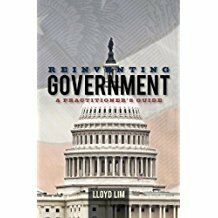 Because this book is written by a government official, instead of an academic or pundit, it provides real insights into a pragmatic reinvention of government. At a time when the government seems out of control, all citizens should find out more about how the government works and seek to play a role in changing it. This book will help people do that. People are finding out the hard way that Obamacare health insurance is not as affordable as was promised. Medical costs continue to spiral upwards, threatening the entire healthcare system. 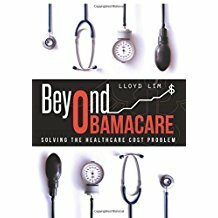 In Beyond Obamacare: Solving the Healthcare Cost Problem, author Lloyd Lim charts a course toward a more cost efficient system. This book will help anyone who is interested in participating in the national debate on healthcare come up to speed quickly on the issues. It also provides a guide to a future that is more sustainable and more hopeful than the path we are currently on. In his 2014 book “Political Order and Political Decay: From the Industrial Revolution to the Globalization of Democracy,” Francis Fukuyama of Stanford opines that good governance requires a centralized state, the rule of law, and accountability. He thinks our three branches of government in the U.S. go a long way towards addressing those basic factors. However, remaining at this high level of analysis is not very helpful in reforming government. We need adjustments of feet and inches, not miles. Let’s not exaggerate the degree of our impairments because that could lead to an overreaction in the other direction. No sense throw the baby out with the bathwater. Senator Bernie Sanders has built a national campaign on the idea that we have to “reign in the banks.” I like Bernie’s sincerity, but what most of his followers probably don’t know is that even before the Dodd-Frank reform, the banking industry was already the most regulated industry in the United States. But the question of regulation is not “grade by weight.” The question is whether the regulation hits the target. I don’t think it does in the case of Dodd-Frank–although I admit that the equity capitalization of banks has improved somewhat over the past several years. I want to try a thought experiment. I want to try to imagine a world in which there is no banking regulation and ask myself what the core of such regulation ought to be. Big picture thinking is simple, but to get to the right answer also requires a firm grasp of the details. We don't want to miss the forest for the trees, but we must first know the trees. Drill Baby, Drill (Policy Ideas, Not Oil)! During the campaign to retake the White House in 2008, Governor Sarah Palin famously said “Drill, baby, drill.” This seemed to establish her credentials as both a conservative and a member in good standing of the boy’s club. Her thoughts are also on target with respect to our public discourse. There are a lot of half-baked ideas floating around out there because people don’t drill all the way down into the core before they start advocating them. In my view this unwillingness to “drill, baby, drill” is exacerbating our inability to solve our own problems. The Issue With Government is Praxis, not Theoria! The ancient Greeks made a distinction between “theoria” and “praxis.” Today we would call that “theory” versus “practice.” Too often we waste most of our time on a largely circular debate about government intervention. Doesn’t it depend who is doing the intervention and whether they know what they are doing? Doesn’t it depend on how the intervention is designed and implemented? Doesn’t it depend on the goodness of fit of the intervention to the situation at hand and whether the so-called solution even solves the right problem? The Devil is in the details, or–as some would say–God is in the details. Government solutions aren’t always appropriate. Nothing can happen in government unless it is authorized by law. That means that government always uses a one-sized fits all solution. That is not good if the situation is likely to be diverse. The emphasis on rules also tends to mean greater complexity and that often means being too clever by half. Government is also very rigid and difficult to change. Government is bureaucratic, which means that it is slow to react and not very nimble. These things are fine if you are looking for continuity, but it is bad if the target environment is dynamic. Government is also subject to politics which means that sometimes things aren’t decided on the merits. Government programs sometimes go on even though they are not useful because their existence is not based on market demand or cost-effectiveness. I think government and law are useful for some situations, but we should never believe that they are useful in all situations. Knowing the difference is the essence of good self-governance in a democracy. This book contains 22 short essays that provide basic knowledge about how our complex system works. 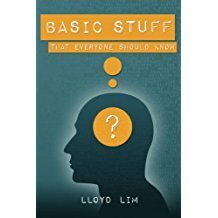 It is an ideal gift from parents to children of high school or college age because it teaches the kind of practical, worldly knowledge that our schools often fail to teach.l The book is also useful for people transitioning into the workforce and can be used for workforce professional development. "I seek to deliver value."